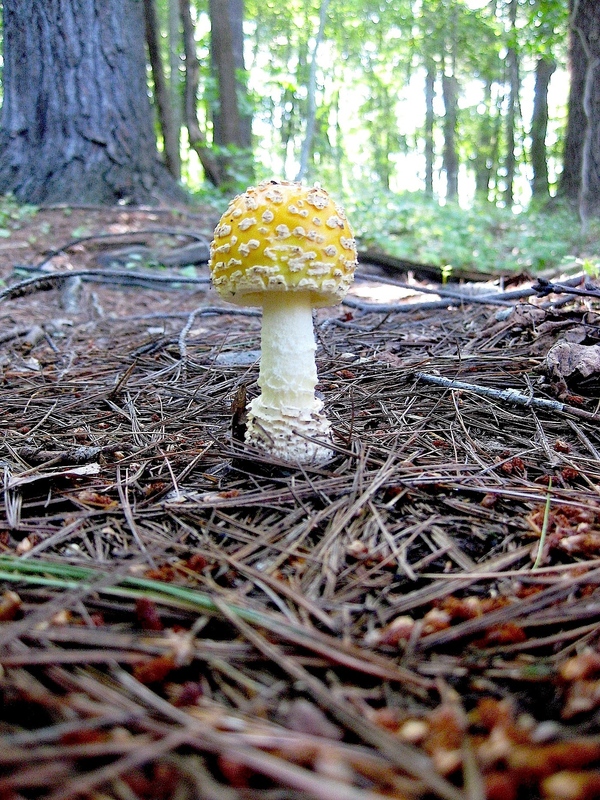 This is Amanita muscaria var. guessowii, a particular variety of the classic European toadstool – the fly agaric mushroom. It can be toxic, and it can be hallucinogenic … all depending on the dose. Effects on humans vary. Regardless, it’s one of the most beautiful mushrooms and always a pleasure to find on the forest floor (for an interesting read, research the connection between the fly agaric mushroom and the story of Christmas). This photograph was taken in a hardwood forest outside of Pittsburgh, Pennsylvania. Look for them in summer and fall under hardwoods and conifers. Amanita muscaria var. guessowii produces a white spore print.